The test of Shinzo Abe’s speech on Capitol Hill will be the credibility of his vision for Asia. 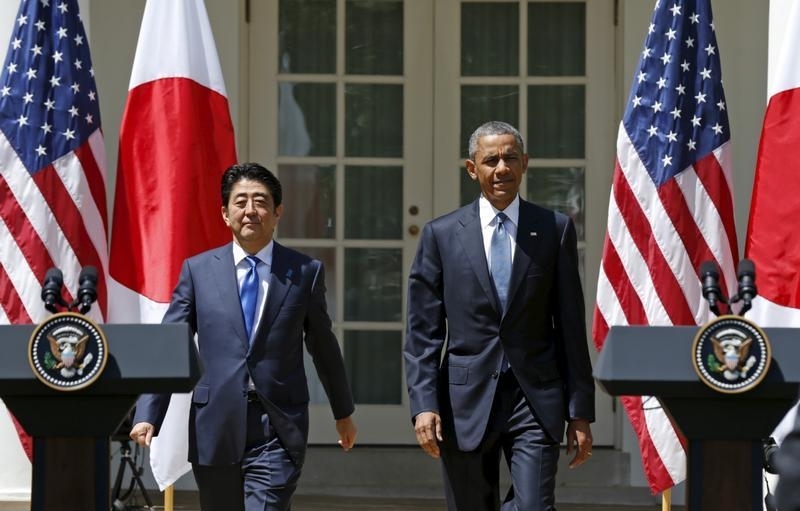 The Japanese prime minister’s visit to the United States has highlighted the strategic and financial links between the two countries. But managing a pesky relationship with China and fostering a growing friendship with India promises bigger economic opportunities and could make Japan a more vital ally. Abe has hinted that his April 29 speech to the joint session of Congress will outline the kind of world Japan seeks to realise. Hopefully, the plan includes policies for Japan’s own backyard. The foremost challenge is to find a solution to territorial disputes in East China Sea that could prompt a costly confrontation with Beijing. China and South Korea are also still looking for assurances that a nationalist Abe is not out to rewrite history by refusing to acknowledge the demons of Japan’s militarist past. Abe’s U.S. trip has been dominated by discussions about the eagerly awaited Trans-Pacific Partnership (TPP) trade deal, which excludes both China and India. For Abe, the TPP’s main advantage is that it will help him take on powerful domestic interest groups and dismantle trade barriers in Japanese agriculture. The potential for broader benefits, though, is limited because Japan and its major TPP partners already have comparable productivity levels. China’s economy is already bigger than Japan’s. Yet China’s real labour productivity in tradable goods is a fifth of Japanese levels; India’s is less than a tenth. Such gaps create incentives to expand trade. Japan’s exports to China have doubled since 2003, while Japanese shipments to India have tripled. Exports to the United States have grown less than 2 percent in the same period. Tokyo is now ready to shoulder some of the United States’ burden of ensuring security in East Asia and elsewhere. Still, the economic reality is stark: Japan’s output is 7 percent smaller today than in 1997. If Abe can’t engage China and India in meaningful cooperation, Japan’s regional clout may wane. Abe will be the first Japanese prime minister to address a joint session of the U.S. Congress. He will want to make sure he isn’t the last. Shinzo Abe is due to become the first Japanese Prime Minister to address a joint session of the U.S. Congress on April 29. Abe has called for an “early conclusion” of the 12-nation Trans-Pacific Partnership (TPP) trade accord, though the White House has dashed hopes of a breakthrough in the negotiations during Abe’s visit, Reuters reported. Separately, the United States and Japan have formulated new guidelines for defence cooperation, which enable Tokyo to play a larger international role for the first time since World War II. According to Reuters, the new guidelines would allow Japan to shoot down missiles heading toward the United States and come to the aid of third countries under attack.